Will Cercei lose her baby? As one of the main characters of the ‘'Song of Ice and fire'', Cercei Lannister naturaly holds GoT fans' interest in many ways and provokes the audience to come up with numerous theories about her future as the final 8th season approaches. One of those controversial theories was recently ignited by the official trailer to the season 8. And it stands as ''will the lioness queen lose her baby?'' 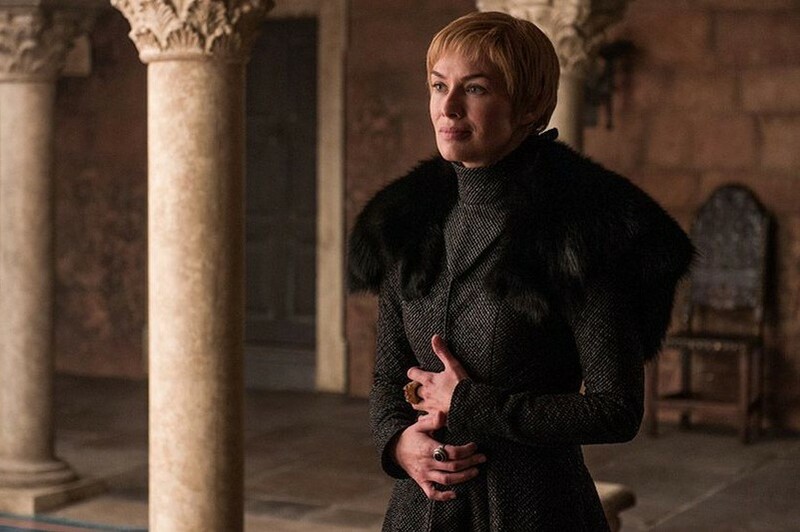 This theory was risen among fans by the fact the queen doesn't seem to be pregnant in the new trailer, as she had presented it season 7. She only appeared a couple of times, only to have a sad, or rather concerned and dreary look on her face. Other than the facial expression, it would be sane to assume that by the time of the events unfolding in the last season the queen would have been pregnant for at least a couple of months, which doesn't seem to be in tact with having a flat belly and wearing dresses sitting tight on the waist. Moreover, Cercei as a character, her whole storyline is pivoted on the fear and paranoia and existential fight against the known prophesy, given to her as a child by Maggy the Frog the fortune-teller. It said that Cercei would have three children, all of whom would die, which eventually came turned out to be true. The forth child that the queen is carrying at the time of the 7th season doesn't seem to go along the prophesy, which the Cercei tries so hard to prove wrong. This aslo adds validity to the theories in favor of a possible miscarriage.